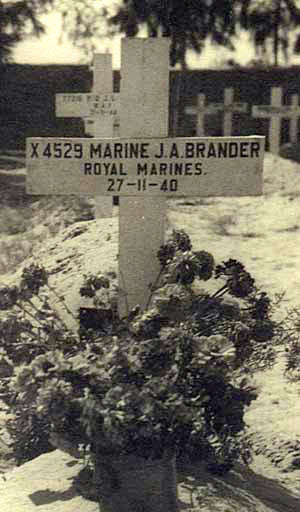 This photograph of his grave, supplied to the family by the Graves Registration Service, was probably taken soon after the burial. The photograph shows the original grave markers at Ismailia War Cemetery. After the war they were replaced by the traditional Portland headstones which are found in cemeteries throughout Europe. 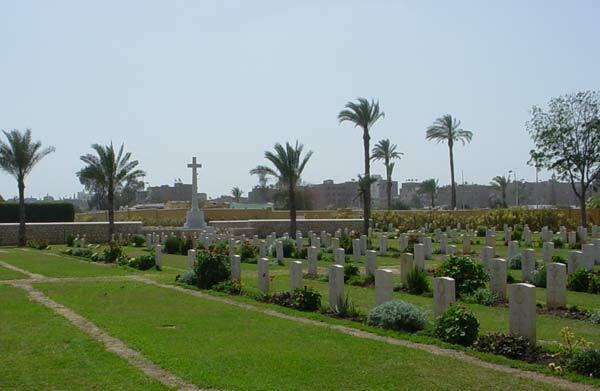 The WW2 graves at Ismailia are in an extension of the original war cemetery created during the First World War. Many of these casualties were injured in Turkey. 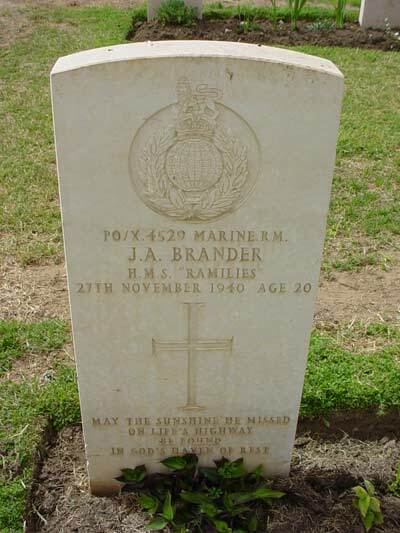 Jim Brander's headstone in the WW2 section of Ismailia War Memorial Cemetery, April 2007.
conjunction with his work as Project Director of The South Africa War Graves Project. Thanks Ralph.